After the support we, The 601 Habit, got for our The Lifeboat Project and Hands-On Philippines, we felt that we owe it to our host country to give back something – however little. And so, we started our Give Back efforts last month for Kumkang School. Kumkang School is a school/dormitory for children of North Korean defectors so they will be prepared and ready for immersion into the society. “The 601 Habit had been overwhelmed with the response from Korea and the Koreans (and of course fellow Filipinos and other nationalities) when the group launched its first project, “The Life Boat Project”, November of last year. The group is also very pleased with the response for its next project, “Hands-On Philippines”. Thus, just a few months after its organization, the ladies behind The 601 Habit would like to give-back to show our deepest appreciation. The ladies have chosen to serve one of the most vulnerable groups in South Korea, the children of the defectors from North Korea who have gone through unimaginable hardship before they finally found a safe refuge in the environment of the Kumkang School. 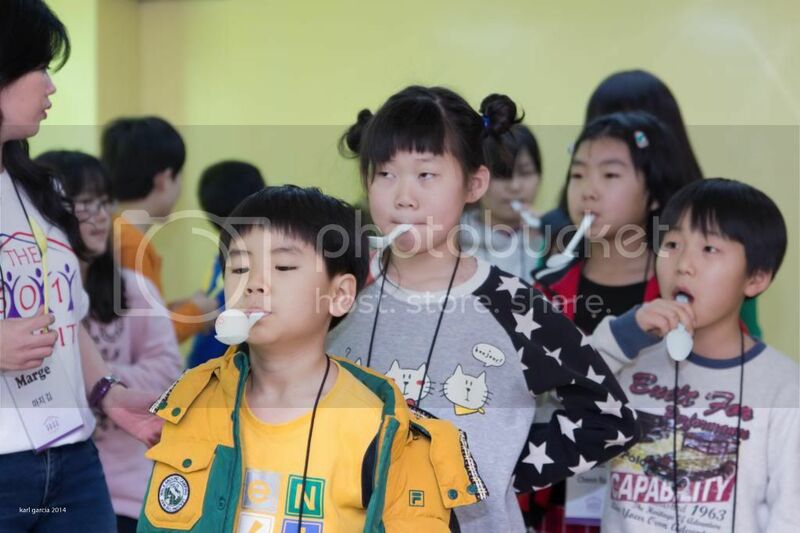 The school was established on January 2013 to cater to the needs of these kids so they will be equipped and be prepared to face life here in South Korea. For our first activity with the kids, the group opted to have getting-to-know-you activities and games. The kids were into it. Even the Ladies of “The 601 Habit” gamely joined the games. They were serious about winning each game. Seeing their faces and hearing their laughter, the day was not just a happy one for us but theirs as well. CJ Welfare Foundation provided lunch for the kids and the volunteers. The ladies of “The 601 Habit” with the Principal of Kumkang School (seated with pink jacket) and the VP and staff from CJ Welfare Foundation. We will have our next activity with the kids this coming Saturday. This time, we will be conducting “Kids Creative Portrait” through the use of the Green Screen. Our photographer members will be able to practice their post processing skills through chroma keying (more on this after the activity). All photos used in this post are by Karl Garcia.